This year, EWG scientists investigated more than 750 beach and sport sunscreens for our 10th annual guide, and while there has been significant progress over the last decade, serious concerns remain. Almost 75 percent of the products we examined provide inferior sun protection or contain worrisome ingredients like the hormone-disrupting chemical oxybenzone. So before you head out in the sun this Summer, make sure you’re prepared with EWG’s 2016 Guide to Sunscreens. Since 2007, we have found a dramatic increase in the availability of mineral-only sunscreens, doubling from 17 percent of products to 34 percent in 2016. Sunscreens using zinc oxide and titanium dioxide tend to rate well in our analysis: They are stable in sunlight, offer a good balance between protection from the two types of ultraviolet radiation (UVA and UVB) and don’t often contain potentially harmful additives. Do you depend on sunscreen for skin protection? Millions of Americans do, but they shouldn’t. The rate of melanoma diagnosis is increasing. The consensus among scientists is that sunscreens alone cannot reverse this trend. Yet a good sunscreen can play a role in preventing sunburns that are a major risk factor for melanoma – provided you use it correctly. Rates of melanoma – the most deadly form of skin cancer – have tripled over the past 35 years. Most scientists and public health agencies – including the FDA itself – have found very little evidence that sunscreen prevents most types of skin cancer. Read more. 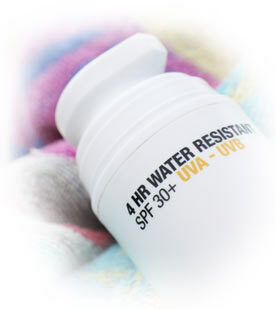 High-SPF products tempt people to apply too little sunscreen and stay in the sun too long. The FDA has proposed prohibiting the sale of sunscreens with SPF values greater than 50+, calling higher SPF values “inherently misleading,” but it has not issued a regulation that carries the force of law. More than 10 percent of sunscreens we evaluated this year advertise SPF values greater than 50+. Read more. The sunscreen industry adds a form of vitamin A to 16 percent of beach and sport sunscreens, 14 percent of moisturizers with SPF and 10 percent of lip products in this year’s database. In Europe, sunscreen makers can formulate their products with any of seven chemicals that filter UVA rays. American manufacturers can use only three UVA-filtering ingredients. They have been waiting for years for FDA approval to use sunscreen ingredients widely available in Europe. The FDA has asked the makers of European sunscreen chemicals for more safety data, but until the FDA approves these ingredients and lifts restrictions on combining certain active ingredients, American consumers will be hard-pressed to find sunscreens with the strongest UVA protection. Read more. SPF measure protection from sunburn but not other types of skin damage The sun’s ultraviolet rays also generate free radicals that damage DNA and skin cells, accelerate skin aging and may cause skin cancer. American sunscreens can reduce these damages, but not as effectively as they prevent sunburn. People can run into problems if they pick a sunscreen with poor UVA protection, apply too little or reapply it infrequently. Sunscreen companies commonly add SPF boosters that inhibit sunburn but may not protect from other damages. The FDA should strengthen its regulations to ensure that sunscreens offer the best possible skin protection. Read more. There is no perfect sunscreen. Americans must choose between “chemical” sunscreens, which have inferior stability, penetrate the skin and may disrupt the body’s hormone system, and “mineral” sunscreens, made with zinc and titanium, often “micronized” or made up of nanoparticles. Some sunscreens also contain inactive sunscreen ingredients that may trigger allergies. FDA should consider new evidence about the ill effects of sunscreen ingredients. Read more. Most zinc oxide and titanium dioxide-based sunscreens contain nanoparticles one-twentieth the width of a human hair, to reduce or eliminate the chalky white tint that larger particles leave on the skin. Based on the available information, EWG gives a favorable rating to mineral sunscreens, but the FDA should restrict the use of unstable or UV-reactive forms of minerals that would lessen skin protection.Read more. Sunshine causes the body to produce vitamin D, a critical function that sunscreen appears to inhibit. Vitamin D, technically a hormone, strengthens bones and the immune system and reduces risks of breast, colon, kidney and ovarian cancers and perhaps other disorders.